It is a rainy weekday evening as our soaked umbrella closes up in front of Machiavelli, a sprawling authentic Italian trattoria which graces the Upper West Side. 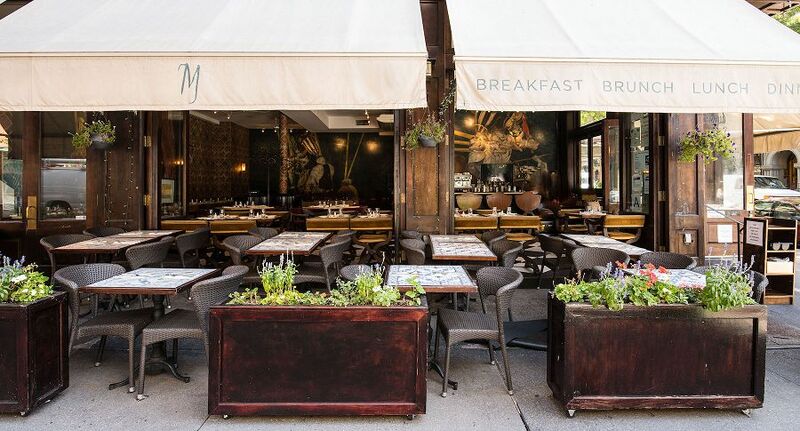 Though the relentless droplets of rain pound down upon the restaurant’s extended white awning, it’s easy to imagine how pleasant an outdoor brunch here might be, amid the bustling of food traffic in one of Manhattan’s most comfortable neighborhoods. Until then though, we are forced to pretend that the weather is more atypical of spring as we comfortably shuffle our way inside the space, which feels like a meticulously designed cathedral, and sit at our corner table, now safe from the whipping winds and rain outside. Once seated, it’s a challenge not to marvel at the inside of Machiavelli. 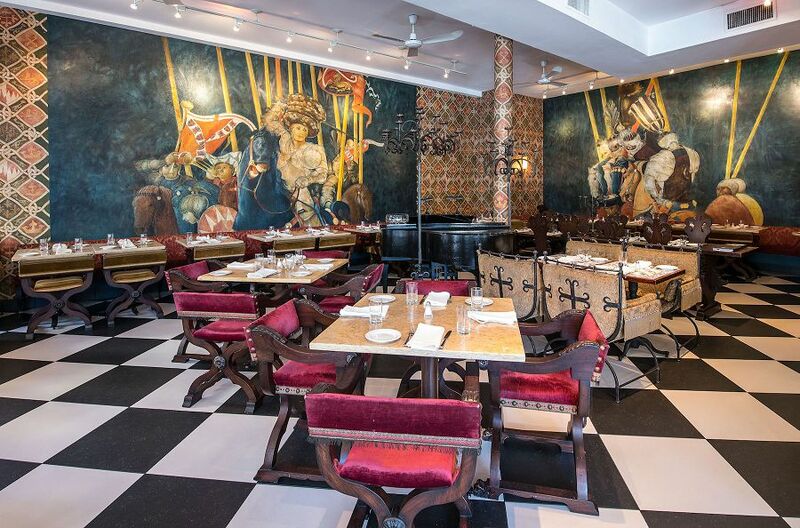 Massive murals take center stage on each of the restaurant’s exposed walls, so grandiose in fact that you may even strain your neck while attempting to take in the entirety of their intricate designs. The spacious feel somehow manages to lend itself to be old-fashioned yet charming, a quaint neighborhood place serviced by some of the friendliest Italian waiters you’d ever care to meet. 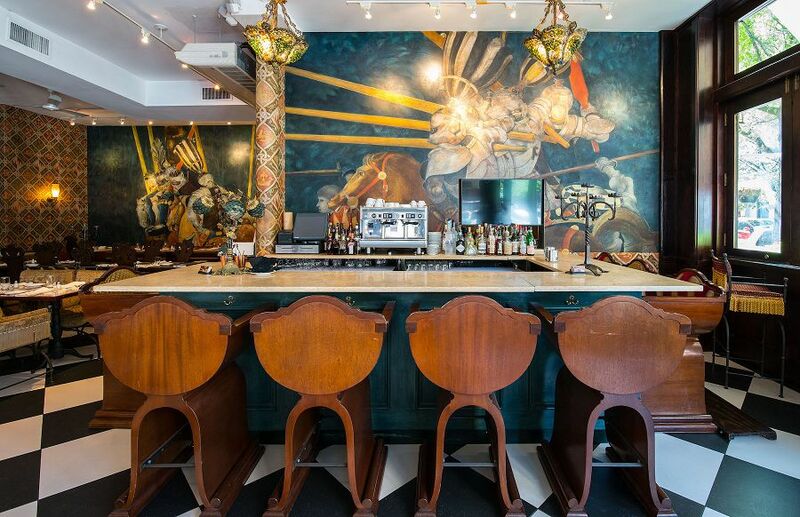 The small marble bar hosts less than a handful of seats, but again here lies another ornate wall, decorated like something you might find while strolling through Florence’s Uffizi Gallery- or at least it feels that way, with instrumental Italian music playing in the backdrop. 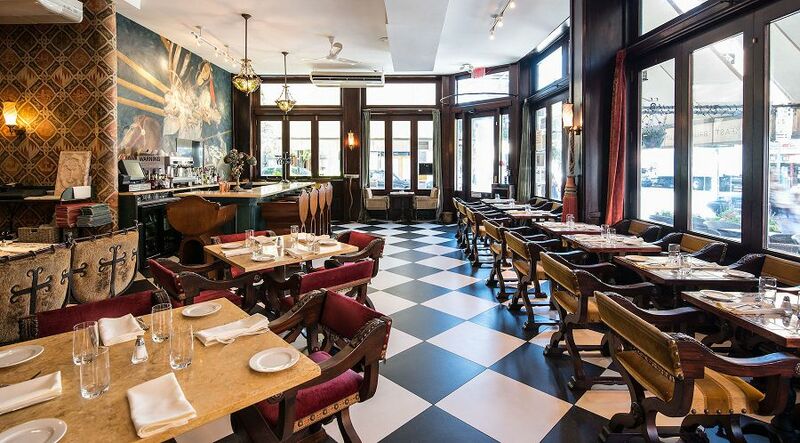 While Italian restaurants seemingly sit on every Manhattan block, Machiavelli itself feels utterly distinctive – perhaps for what it’s not. Forget the shiny wooden tables and modern rustic seating – the comfortable cloth backed chairs are more akin to enjoying a home cooked meal at a family member’s house than a night out uptown. 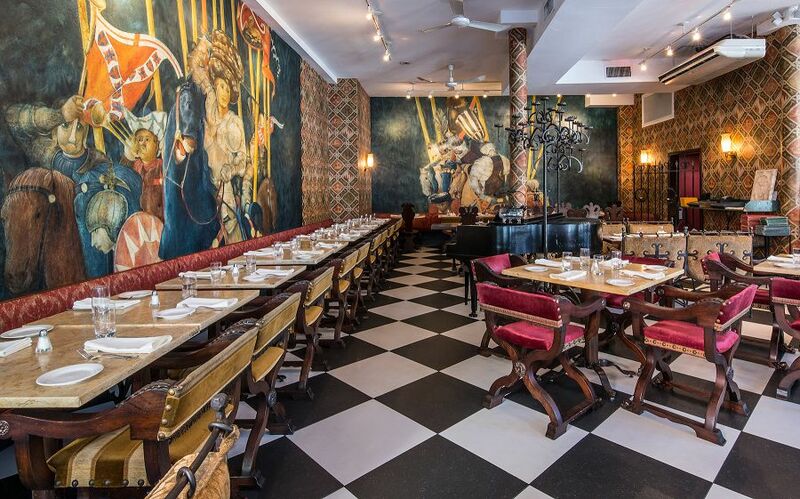 In lieu of a throwback band, a grand piano graces the dining room where some familiar staples are expertly performed by the talented hands of a suited up pianist, an appropriate touch given the interior’s surroundings. 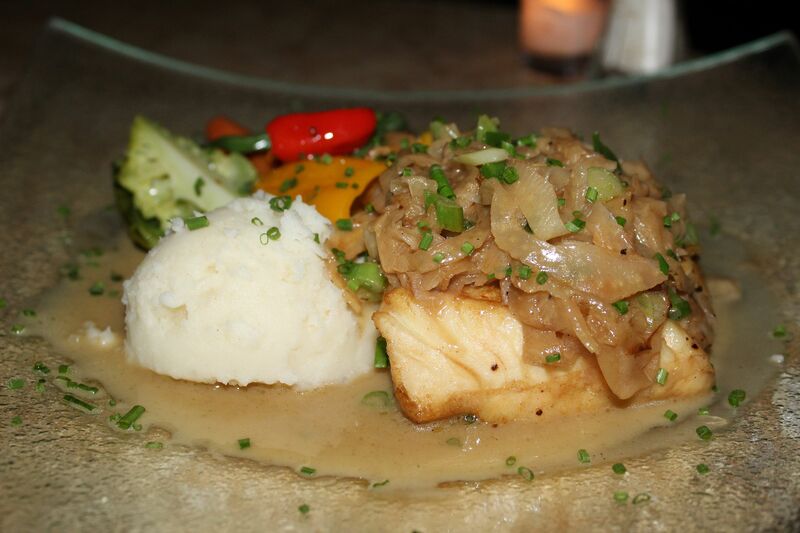 Fittingly, the restaurant’s elaborate menu meshes the same sort of old-world Italian fare with such a traditionally Italian atmosphere. Where to begin though, with a sizable menu offering everything from fresh “Bruschetta” ($9.95) and “Antipasto Misto” ($17.95) to a selection of Pizzas and artisanal Italian pastas, rolled and made by hand. 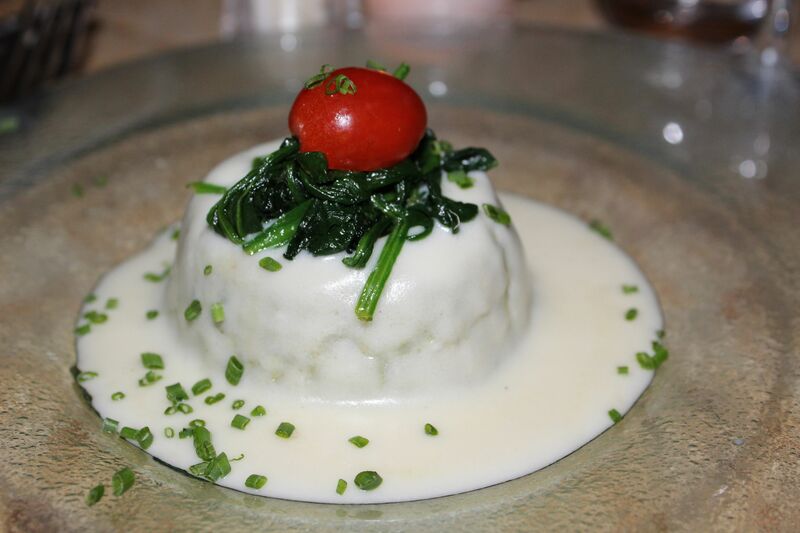 A couple of complex pours of Chianti Classico serve to set the stage for the outstanding “Sformato di spianci” ($12.95), best described as a creamy cloud of Spinach flan, doused in white truffle shavings and some fonduta cheese. Though the dish sounds heavy, it is topped with some sautéed spinach and a ripe cherry tomato and eats incredibly soft with a flavor profile that far exceeded our loftiest expectations. 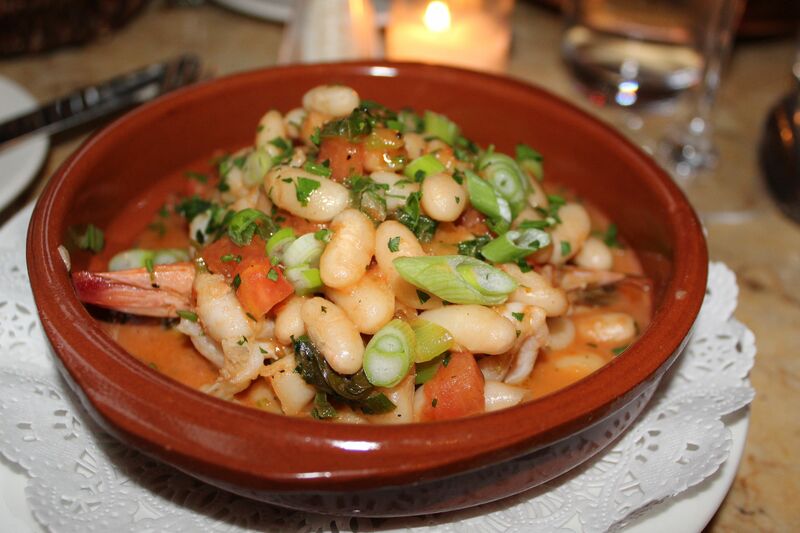 Similarly necessary on your table, the “Gamberetti all ‘uccelletto’” ($16.95), a mouthwatering bowl of bulbous, sauce covered shrimp, littered by large white beans, garlic, sage and a smattering of white wine and fresh tomatoes. Though we were forced to eschew a pizza dish, the long thick strands of fresh-herb “Pappardelle alle Erbe con Funghi” ($18.95) was another can’t miss dish. 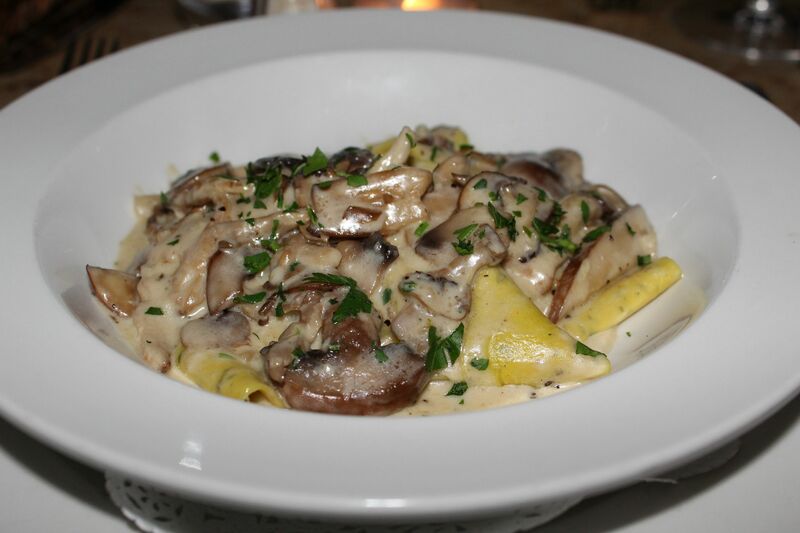 Adorned by juicy hunks of mixed wild mushrooms, the added cream and sharp shaves of parmesan cheese added a new textural component to the already flavorful combination as our table fought off each other’s forkful for final dibs on the dish’s remains. Fortunately, Machiavelli also manages to over-deliver even in non-traditional fare, where oven-roasted Colorado lamb chops or “Costoella d’Agnello alle Hrbe fresche” ($38.95) doused in a thick, rich ‘gravy’ are perfectly prepared- seared and seasoned just right- and cooked to an ideal tender red center, deliciously rare. Non-meatlovers will be just as happy with an expertly prepared seafood dish- where the house special “Seared Halibut” ($29.95) on this night was candidly a bit pricey, but also candidly, especially tasty, served with some fresh fennel in an anisette sauce- neither of which overpowered the succulent filet of fish. By the time our ‘Salted Caramel’ gelato arrived tableside, our appetites had sufficiently been appeased. Then again, it was ‘Salted Caramel’ gelato after all – so we unbuckled our belts, grabbed a spoon and laid the decadent dessert to waste, triumphantly standing tall above all of the now decimated plates beneath us. Perhaps we are exaggerating a bit about the sheer volume of food that we consumed- maybe being a bit deceitful or (ready for the pun) Machiavellian here? 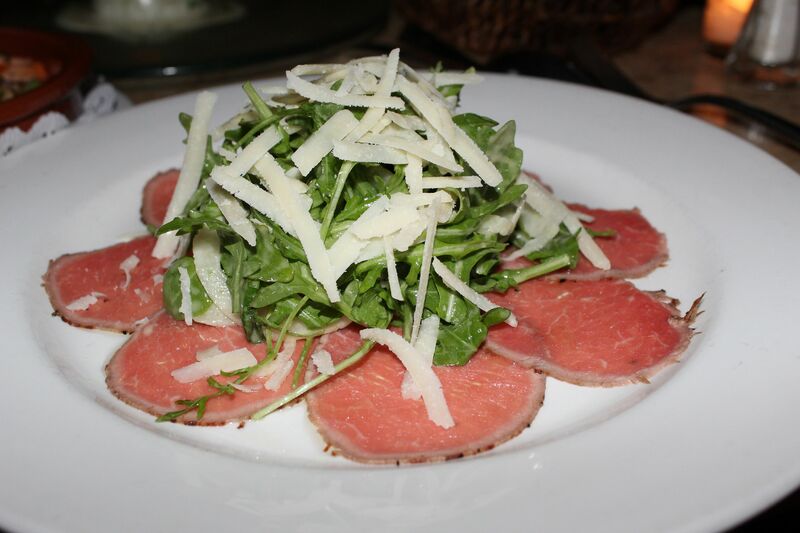 But finding enough positive adjectives to describe our dining experience at Machiavelli proved to be an even bigger challenge than finishing off our meal, an excellent one at that, on a rainy Upper West Side evening that we won’t soon forget.